I had planned to do a bit more in West Virginia, but due to allergies and the weather, all I did was visit some friends in Shepherdstown. (Rest in Peace, MB.) The town is quite nice, though, and my visit with my friends was quite relaxing, so I wasn't very disappointed. 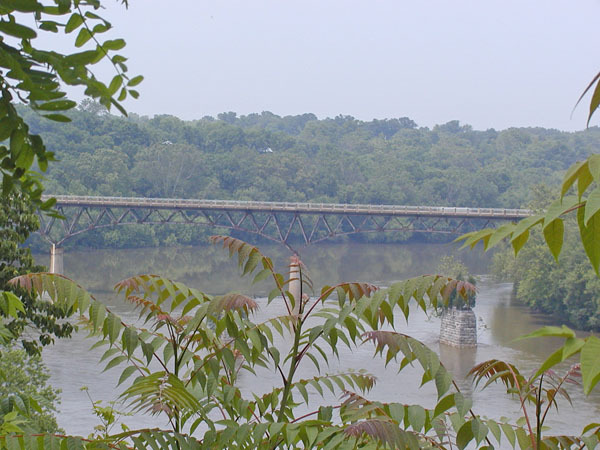 Below is a view across the Potomac into Maryland from Shepherdstown. 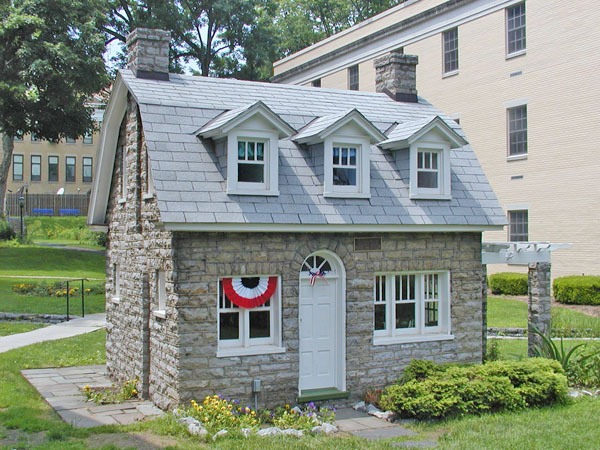 Below left is a miniature house in the downtown area. 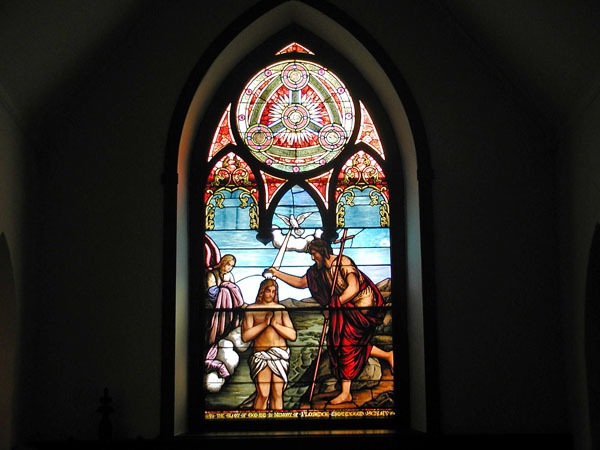 Below right is a stained-glass window from Trinity Episcopal Church (1858). One claim to fame Shepherdstown has is that they say a man named James Rumsey actually created a working steam-powered boat 16 years before Fulton. 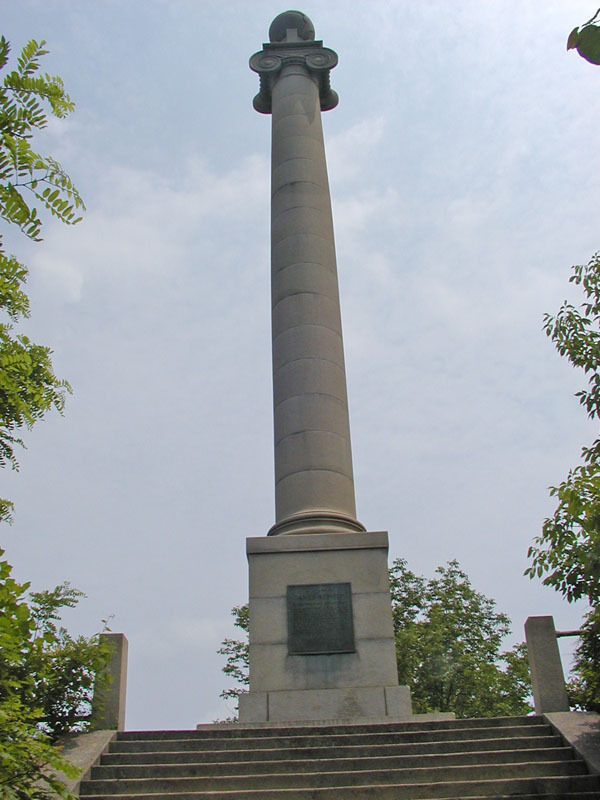 Here is a monument that has been constructed so that Rumsey's work is not forgotten. I next traveled to Arlington, Virginia with a stop at Antietam battleground. For Antietam see the Maryland page; for Arlington, see Virginia.